I have drawn all of my life. But it wasn’t until after most of my children were grown, that I took my first art classes. 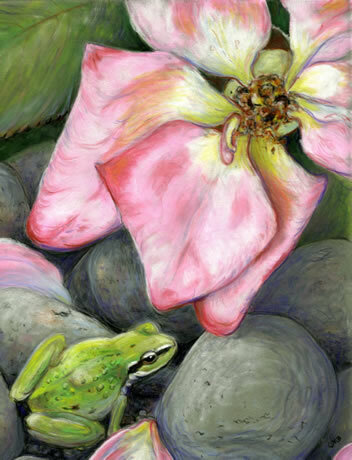 I now paint in three mediums, watercolor, colored pencil and pastel. Working with clay holds great interest for me as well. 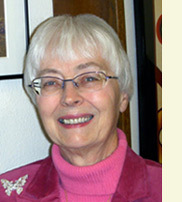 I am a native born Oregonian and spent much of my growing up years on the Columbia River and traveling around the state. Most of my life has been spent in the Portland area, but I was lucky enough to live in central and southern Oregon for a while before my husband retired. We now live in Buxton in the Coast Range foothills. 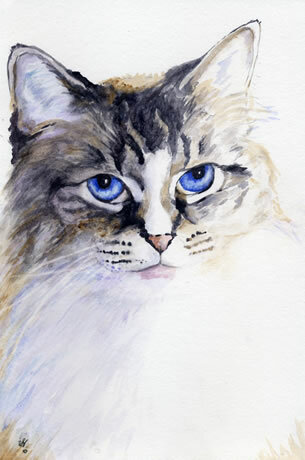 My love of animals is most often the focus of my art. Every creature holds a fascination for me, from the mighty elephant to the tiny honeybee. My goal is to reflect in my work the spiritual connection that I feel. 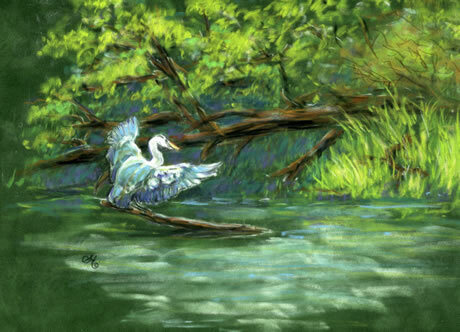 I have discovered that my love and reverence for the wonders of the natural world is reflected in my art, and it has become my passion to capture and share the spirit I see there. 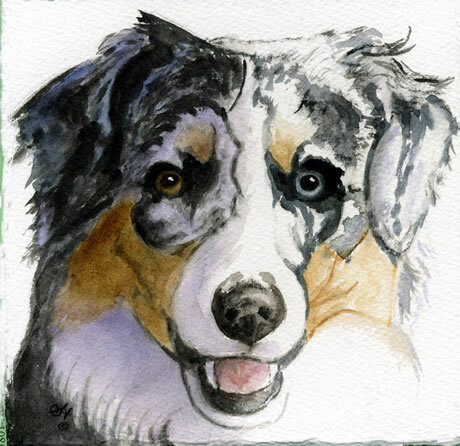 I offer commissioned pet portraits in watercolor, pastel or colored pencil. Work is done from photographs, and is affordably priced to make a wonderful gift to yourself or someone you know who cherishes their animal. In addition to original art, all paintings shown in the gallery are available in 8x10-inch format as ink jet prints on quality photo paper. The cost is $15 each which includes shipping. Contact the artist and make arrangements to place an order. 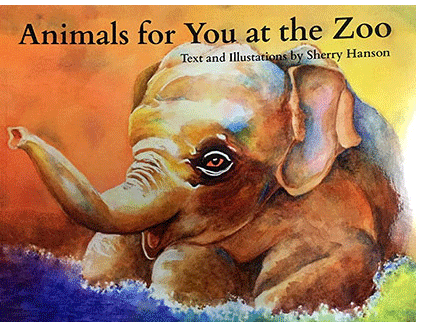 Sherry recentlly published a book, Animals for You at the Zoo, and the cost is $15. Contact the artist to purchase a copy. 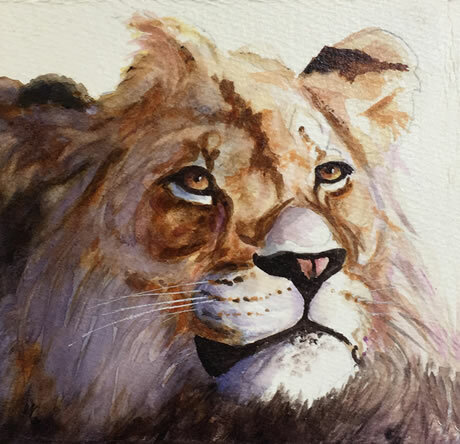 Title: Lion, watercolor, mounted on canvas and varnished 6 x 6, $40. Click on any image to contact the artist directly. 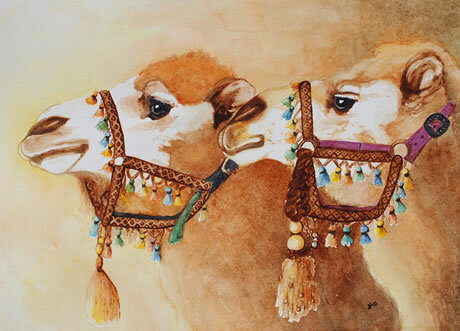 Title: Camel Caravan, watercolor, matted 16 x 20, $195. Click on any image to contact the artist directly. 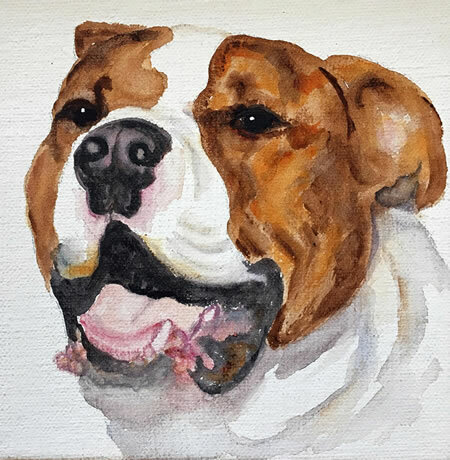 Title: Puppy Dog, watercolor on canvas, 6 x 6, $45. Click on any image to contact the artist directly. 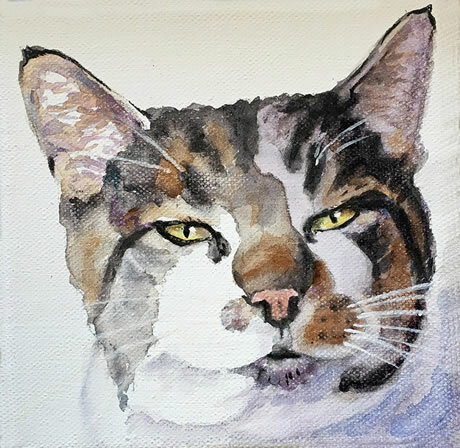 Title: Saucy Kitty/b>, watercolor on canvas, 6 x 6, $45. Click on any image to contact the artist directly. 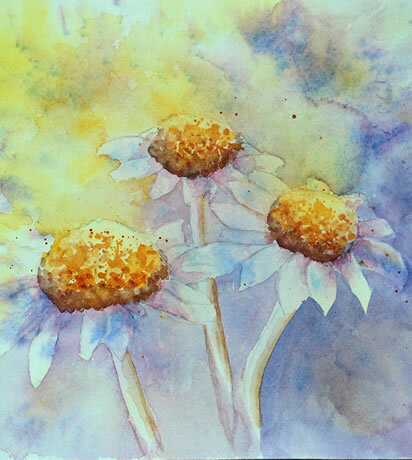 Title: Cone Flowers, watercolor, matted 11 x 14, $95. Click on any image to contact the artist directly. 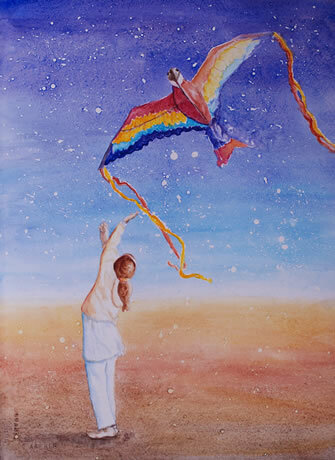 Title: Flying Free, watercolor, matted 16 x 20, $195. Click on any image to contact the artist directly. 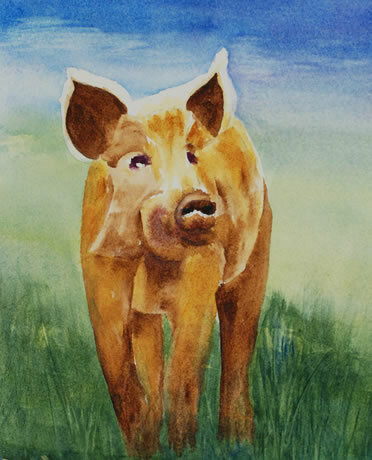 Title: Free Range Pig, watercolor, matted 11 x 14, $95. Click on any image to contact the artist directly. 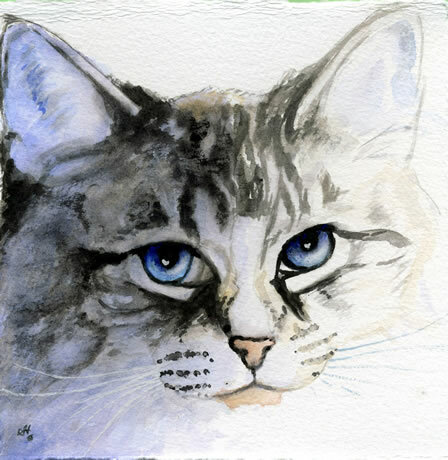 Title: Kitty cat, watercolor, painted on canvas and varnished 5 x 7, $40. Click on any image to contact the artist directly. 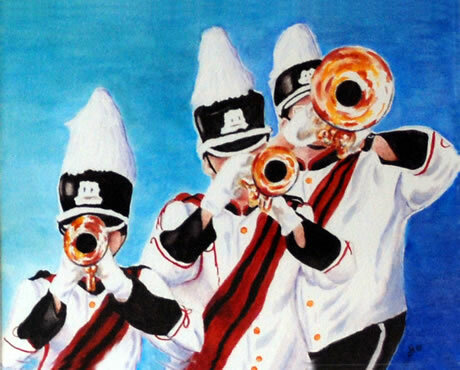 Title: Horns, watercolor, matted 16 x 20 $175. Click on any image to contact the artist directly. 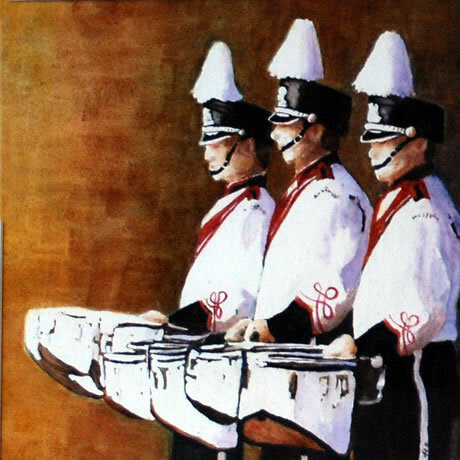 Title: Drum Line, watercolor, matted 15 x 15 $195. Click on any image to contact the artist directly. 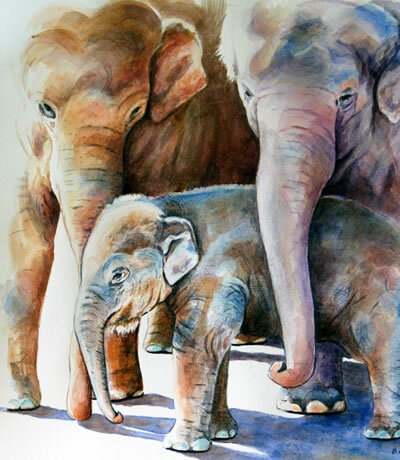 Title: Momma, Auntie Shine, and Sam, watercolor, matted 20 x 22, $400. Click on any image to contact the artist directly. 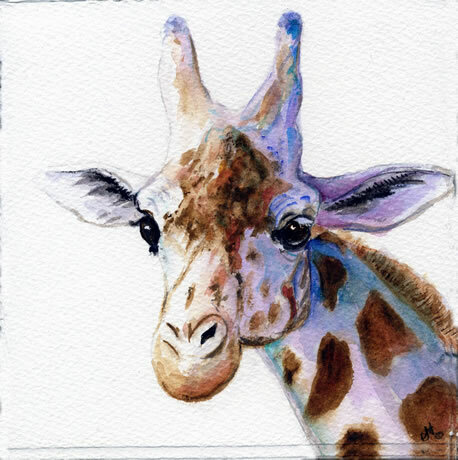 Title: Giraffe, watercolor, matted 6 x 6 SOLD. Click on any image to contact the artist directly. 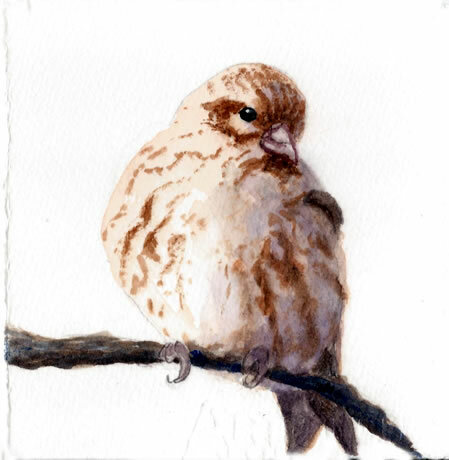 Title: Little Brown Bird, watercolor, matted 6 x 6 SOLD. Click on any image to contact the artist directly. 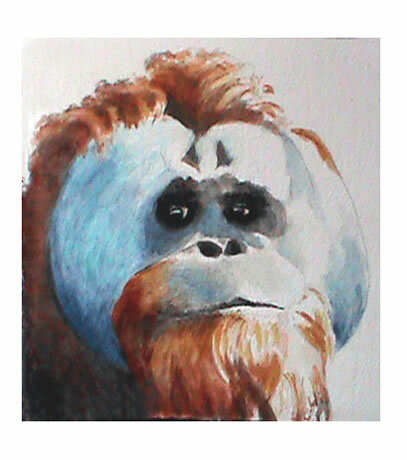 Title: Orang u tan, watercolor, matted 6 x 6, $40. Click on any image to contact the artist directly. Title: Selmo (dog), watercolor, fixed to hard board backs with attached wire hangers, 6 x 6, SOLD. 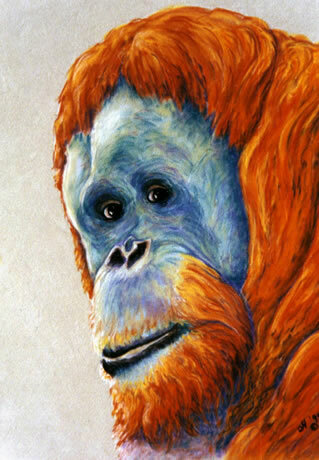 Click on any image to contact the artist directly about other paintings or to inquire about commissioned work. 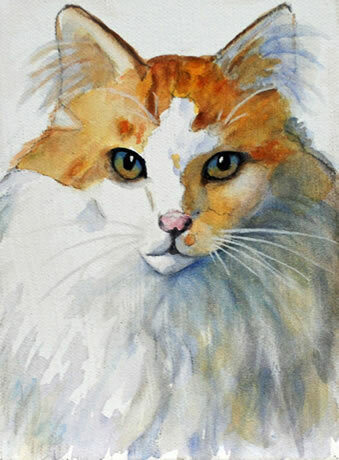 Title: Velcro (cat), watercolor, 6 x 6, SOLD. Click on any image to contact the artist directly about other paintings or to inquire about commissioned work. 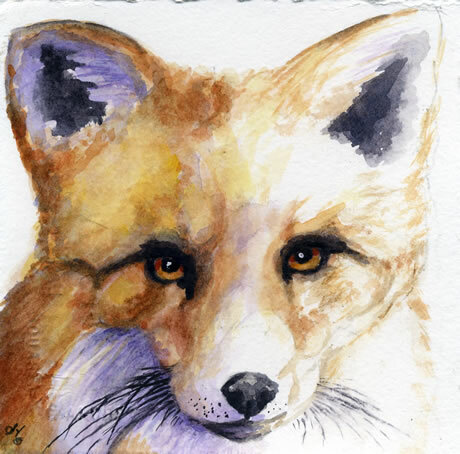 Title: Fox, watercolor, 6 x 6, SOLD. Click on any image to contact the artist directly about other paintings or to inquire about commissioned work. 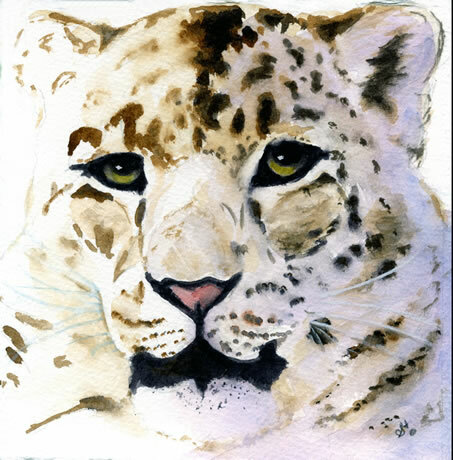 Title: Snow Leopard, watercolor, 6 x 6, SOLD. Click on any image to contact the artist directly about other paintings or to inquire about commissioned work. Title: Velcro, watercolor, matted 14.5 x 19, $145. Click on any image to contact the artist directly. 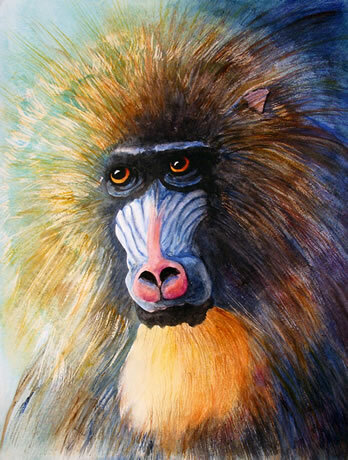 Title: Wild Mandrill, watercolor, matted 16 x 20 $195. Click on any image to contact the artist directly. 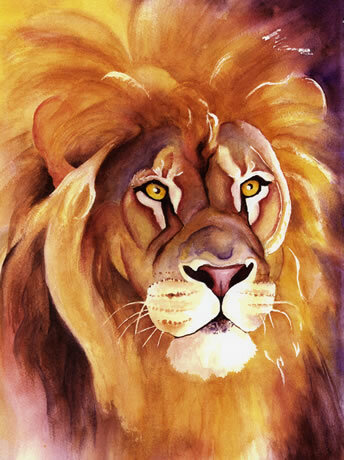 Title: Lion, watercolor, matted 16 x 20, $195. Click on any image to contact the artist directly. 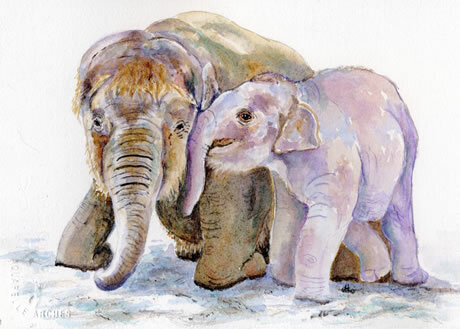 Title: Auntie Chandra and Sam, watercolor, matted 14 x 11, $95. Click on any image to contact the artist directly. 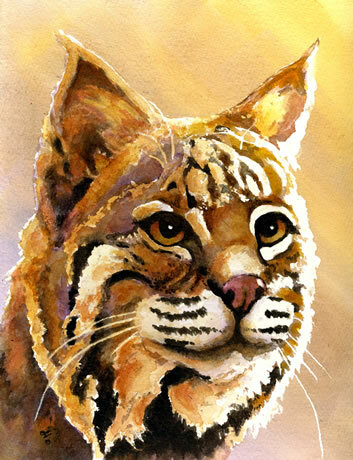 Title: Bobcat, watercolor, matted 11 x 14, $145. Click on any image to contact the artist directly. 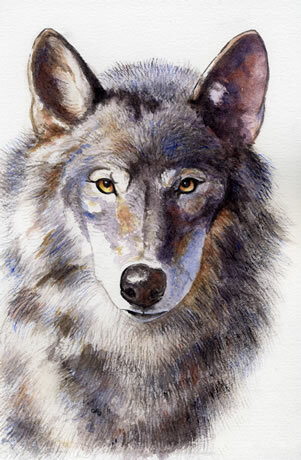 Title: Wolf, watercolor, matted 11 x 14, $95. Click on any image to contact the artist directly. 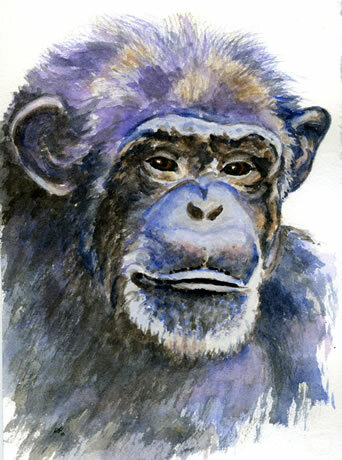 Title: Chimpanzee, watercolor, matted 11 x 14, $95. Click on any image to contact the artist directly. 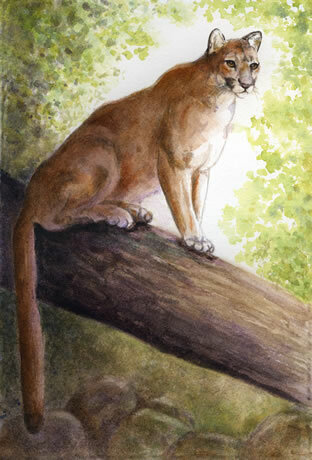 Title: Cougar, watercolor, matted 11 x 14, $95. Click on any image to contact the artist directly. 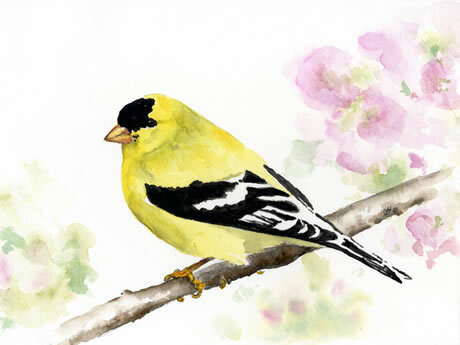 Title: American Goldfinch, watercolor, matted 14 x 11, $95. Click on any image to contact the artist directly. 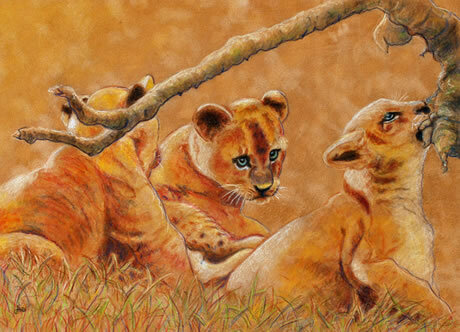 Title: Lion Cubs, color pencil, matted 16 x 20, $195. Click on any image to contact the artist directly. 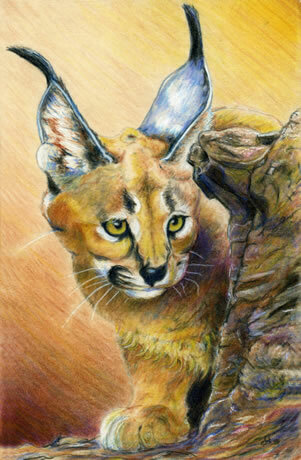 Title: Caracal Kitten, colored pencil, matted 13 x 15, $120 Click on any image to contact the artist directly. Title: Grandma, colored pencil, matted 11 x 14, $95. Click on any image to contact the artist directly. 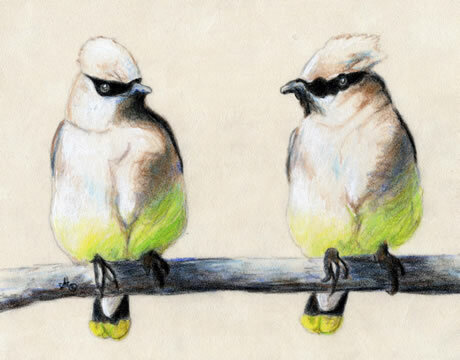 Title: Cedar Wax Wings, colored pencil, matted 11 x 14, $95. Click on any image to contact the artist directly. 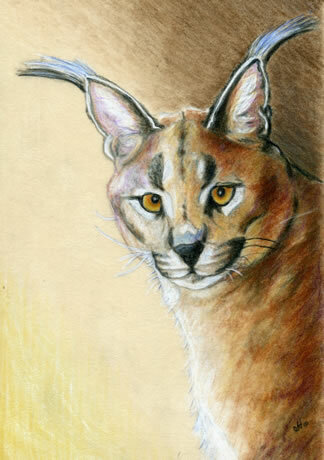 Title: Caracal, colored pencil, matted 11 x 14, $95. Click on any image to contact the artist directly. Title: Cougar cub, colored pencil, matted 14 x 22, $275. Click on any image to contact the artist directly. Title: Velcro, colored pencil, matted 14 x 18, $175. Click on any image to contact the artist directly. 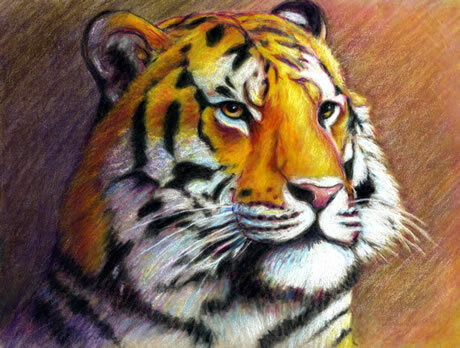 Title: Tiger, colored pencil, matted 14 x 11, $95. Click on any image to contact the artist directly. 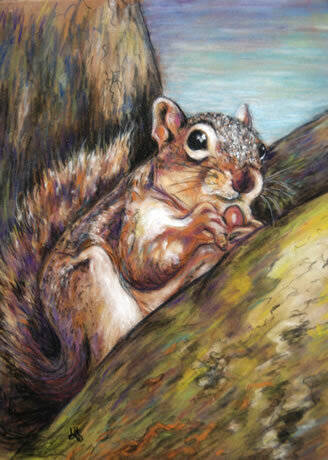 Title: Grey Squirrel, colored pencil, matted 11 x 14, $95. Click on any image to contact the artist directly. 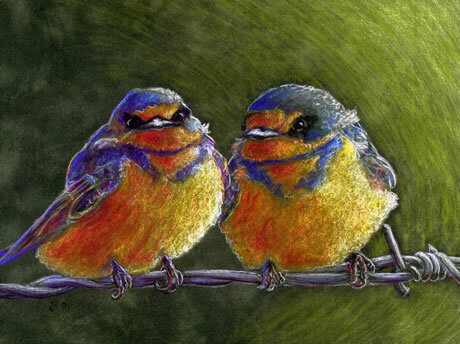 Title: Barn Swallow Fledglings, colored pencil, matted 11 x 14, this painting is SOLD; please contact the artist about other works. 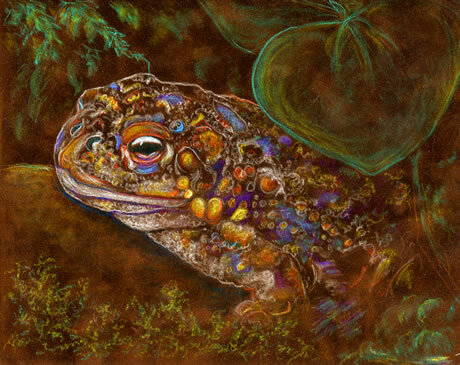 Title: A Real Prince, colored pencil, matted 14 x 11, $95. Click on any image to contact the artist directly. Title: Puffins, colored pencil, matted 16 x 20, $195. Click on any image to contact the artist directly. 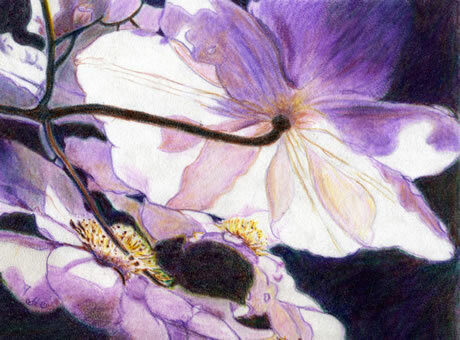 Title: Transulucent Clematus, colored pencil, matted 11 x 14, $95. Click on any image to contact the artist directly. Title: Daisy Dance, colored pencil, matted 20 x 12, $95. Click on any image to contact the artist directly. 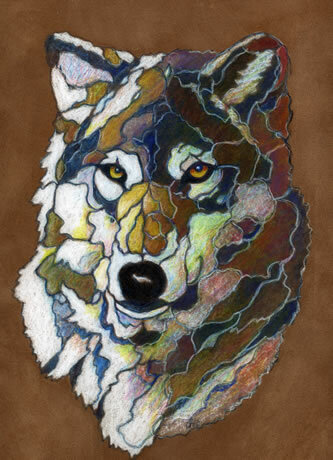 Title: Wolf, colored pencil, matted 16 x 20, $175. Click on any image to contact the artist directly. Title: Sculpture Bug, colored pencil, matted 14 x 11, $95. Click on any image to contact the artist directly. 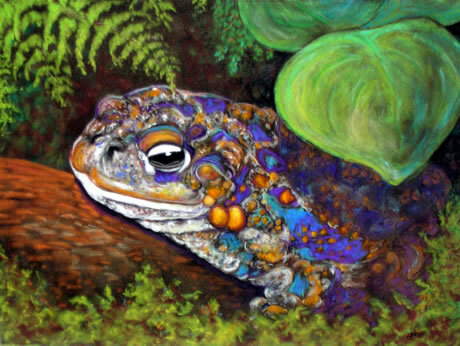 Title: It's Not Easy Being Green, colored pencil, matted 11 x 14, $95. Click on any image to contact the artist directly. 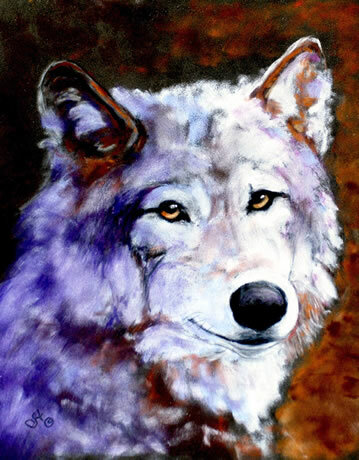 Title: Wolf #1, pastel, matted 11 x 14, $95 Click on any image to contact the artist directly. 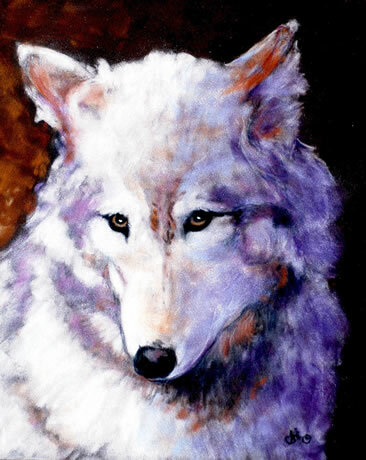 Title: Wolf #2, pastel, matted 11 x 14, $95 Click on any image to contact the artist directly. 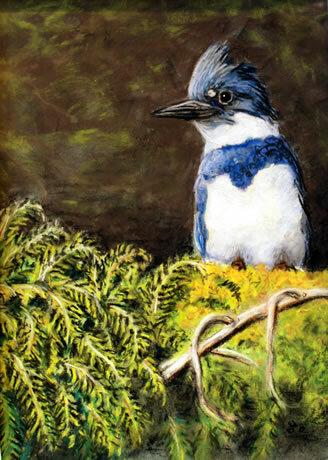 Title: Belted Kingfisher, pastels, matted 11 x 14, $95. Click on any image to contact the artist directly. 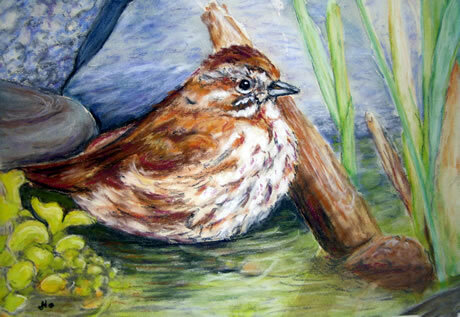 Title: Bird bath, pastels, matted 11 x 14, $95. Click on any image to contact the artist directly. 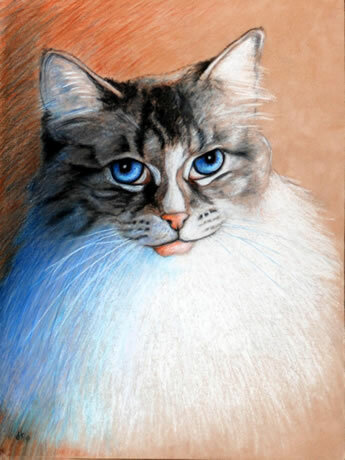 Title: Snickers, pastels, matted 11 x 14, $95 Click on any image to contact the artist directly. Title: Alighting, pastels, matted 18 x 15, $150. Click on any image to contact the artist directly. 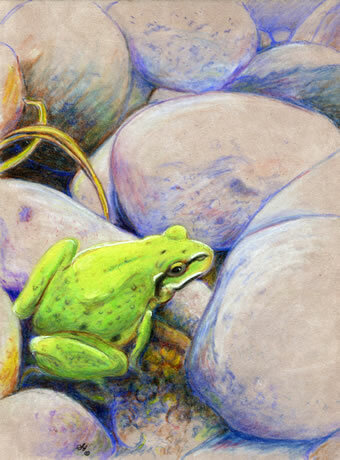 Title: Frog, pastels, matted 20 x 16, $195. Click on any image to contact the artist directly. 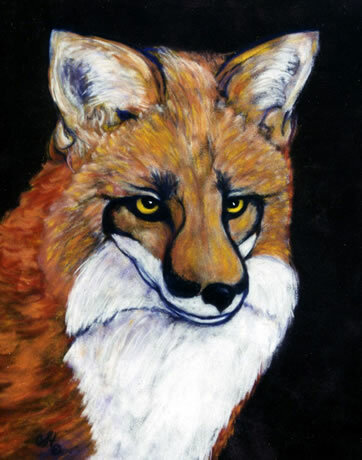 Title: Fox, pastels, matted 11 x 14, $95. Click on any image to contact the artist directly. 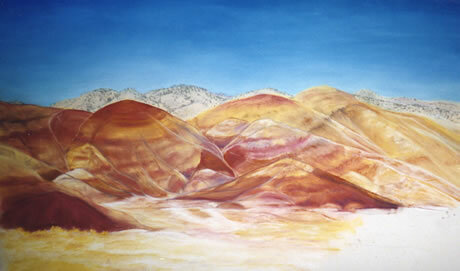 Title: The Painted Hills, pastels, matted 24 x 18, $245. Click on any image to contact the artist directly. 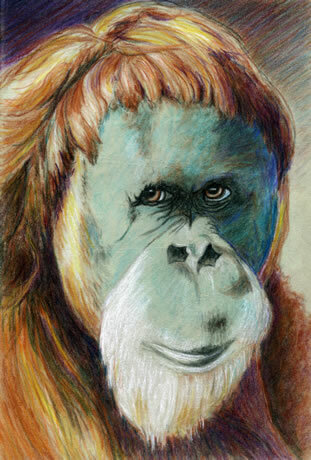 Title: Orangutan, pastels, matted 11 x 14, $95. Click on any image to contact the artist directly. 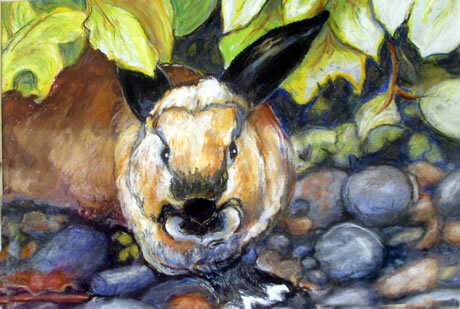 Title: On The Rocks, pastels, matted 11 x 14, $95. Click on any image to contact the artist directly. 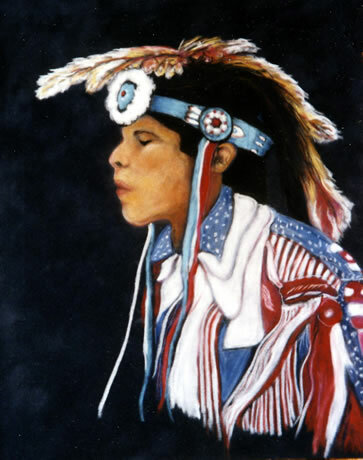 Title: Pow Wow, pastels, matted 11 x 14, $95. Click on any image to contact the artist directly. 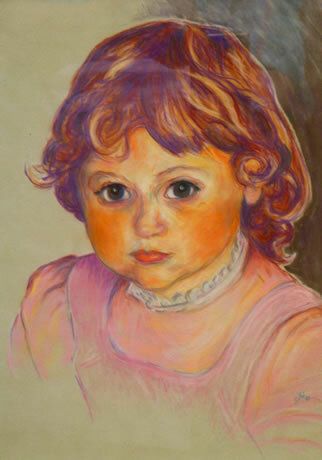 Title: Trisha, pastels, matted 11 x 14, $95. Click on any image to contact the artist directly. 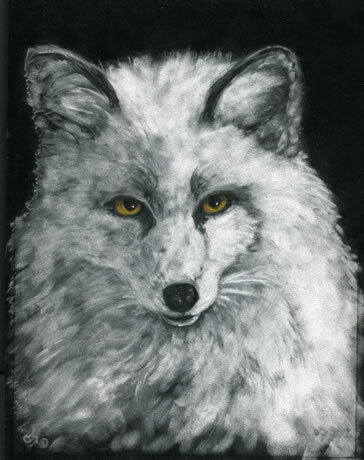 Title: Winter Fox, pastels, matted 11 x 14, $95. Click on any image to contact the artist directly. 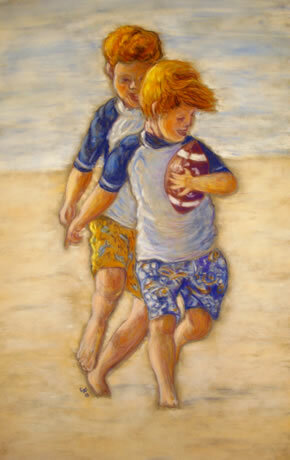 Title: A Day at the Beach, pastel, matted 16 x 20, $195. Click on any image to contact the artist directly.